Here’s a yummy breakfast too quick, easy and yummy not to share. 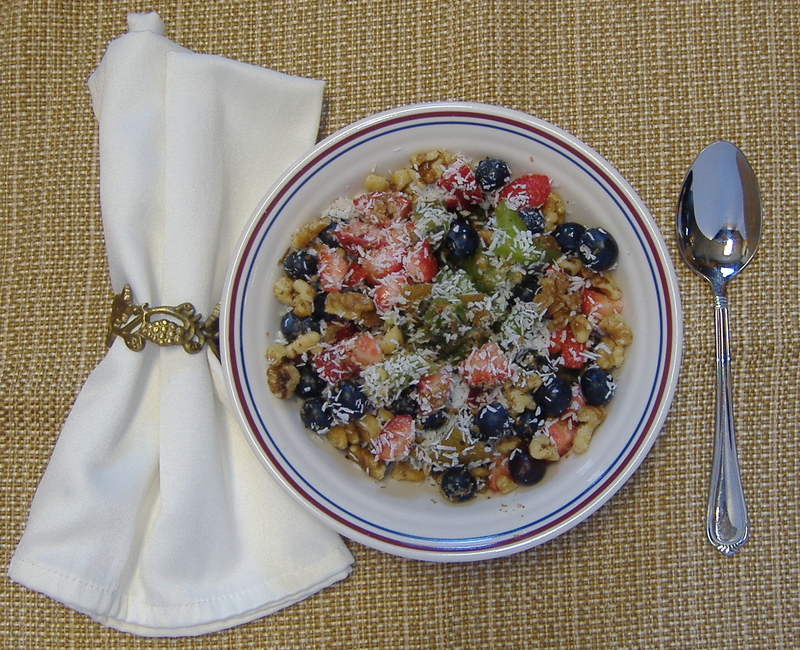 Chop the kiwis, strawberries and the walnuts and combine in a bowl, add coconut. Mix well and enjoy! Variations: You can use any nuts or seeds and fruit, including frozen fruit. This entry was posted in Blueberries, Breakfast, Kiwis, Recipe, Strawberries, Vegan and tagged Abundance, Breakfast, Compassion, Health Coach, Health Coaching, Healthy Lifestyle, healthy-living, Passion, Recipe, Self-Help, Self-Improvement, Vegan. Bookmark the permalink.